Our series on Visiting Maine Like a Mainer turns now to the Freeport and environs area of the region known as Greater Portland and Casco Bay (previous posts have included the Maine Beaches, Greater Portland and Casco Bay (Portland area) and Downeast and Acadia). Freeport is widely known as the home of retail giant L.L. Bean. In fact the well-known outlets and stores in Freeport are all around the L.L. Bean campus, with its flagship store, hunting and fishing store, bike and kayak store, and its outlet store. Oh, and the L.L. Bean home store is slated to open later in the year. Around it sit over 160 other stores and restaurants, providing something for everyone. Not quite as well-known are the two beautiful state parks, Wolfe Neck State Park and Bradbury Mountain State Park. Both have excellent hiking trails. 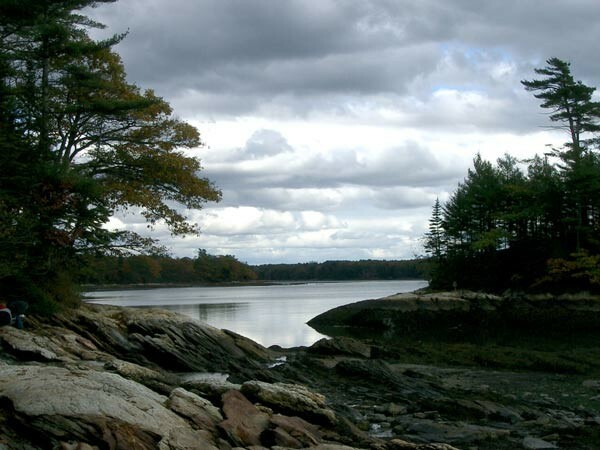 Wolfe Neck offers trails along the edge of Casco Bay, while Bradbury Mountain, as its name implies, takes you up above the neighboring communities for a view across the coastal areas. Nearby, also, in addition to Portland and its shopping and fine dining, are the Portland Head Lighthouse and Cape Elizabeth’s Two Lights. To the north is Bowdoin College, Eagle Island, Bailey Island, Georgetown Island, Reid State Park, Popham Beach State Park, and the hideaway village of Five Islands. Maine’s Desert is also nearby. Freeport‘s central location makes it ideal for adding to your shopping vacation with golf, and exploring all the Maine coast has to offer.